As we’ve written in previous blogs, “big data” is high on the list of popular healthcare analytics trends. Simply put, big data is data that is too large or complex for traditional database processing systems. If you operate in the BI space, you are likely familiar with Doug Laney’s definition of big data as data comprised of the 3-Vs: Volume, Velocity and Variety. In the healthcare world, we understand better than most industries what big data is and how those 3 Vs apply in our space. EMRs have increased the volume and variety of data available to us by exponential factors. The pace at which data is collected and streaming into the systems we are responsible for reporting from is happening at light speed - literally. The fact that healthcare analytics operates in a big data world is obvious. The challenge for BI teams is in how we harness that data and turn it into something meaningful and actionable for our customers. Achieve a deeper, more meaningful look into specific data which may not have been available prior to the age of big data in healthcare. These benefits can certainly help healthcare organizations to be more productive and efficient while also helping to reduce costs. 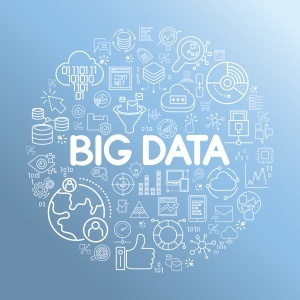 However, big data also can provide benefits in more specific areas: early intervention and disease detection, fraud reduction, predictive analytics and identification of unnecessary tests and procedures. By allowing for quicker identification of patients at high risk for certain diseases, clinicians are better able to monitor those patients and deliver an effective intervention when necessary. This is especially important for patients with chronic conditions such as diabetes and congestive heart failure and other populations at a higher risk for life-threatening conditions and diseases. Through the ability to detect certain diseases before they become a serious health problem, patients can usually be treated more successfully. Though still in its earlier stages in this area, big data can assist in detecting healthcare fraud faster and more efficiently by modifying medical claims payment systems in combination with analytics to more easily check the accuracy and consistency of claims. By reducing the number of improper or erroneous claims submitted, healthcare organizations save time and money. The use of predictive analytics is another big trend in healthcare IT, and big data can be used in this area to enhance clinical records and, therefore, more effectively identify early treatments in a patient’s history to prevent future complications and avoid future readmission. Early treatment can save healthcare organizations money in the long run in addition to providing better outcomes for patients. By aggregating patient data, healthcare organizations are better able to use big data to identify unnecessary procedures and delays. This not only reduces overall costs but also helps improve patient outcomes and identifies unnecessary waste across the organization. Healthcare organizations constantly strive to improve the quality of care they provide while working to reduce clinical, financial and operational costs. Big data is really just the data. It takes a qualified understanding to present the data to healthcare leaders and clinicians in ways that make the vital information obvious and clearly guides them to the right solutions and the best decisions. Big data can improve patient’s lives and the healthcare businesses that care for them, but only if it is harnessed in a way that finds, and shows, the meaning in the data. Syntrix Consulting can work with you to harness the big data in your organization and help you identify areas of improvement across the board. Contact us today to talk about how we can work together to help you make that happen in your organization.